To tell you something about the history of 135 Fenchurch Street, we have to go back to the mid-eighteenth century and to another part of London. 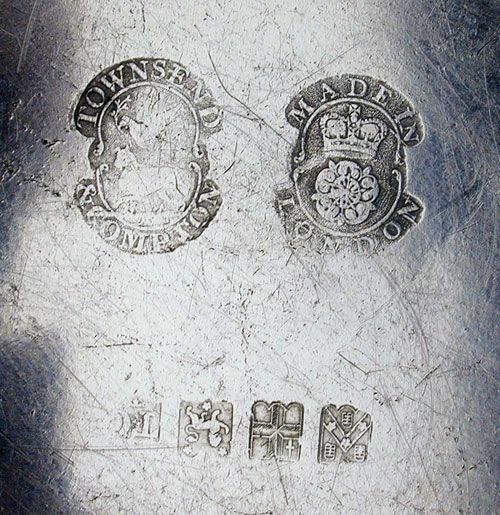 According to John D. Davis in his Pewter at Colonial Williamsburg (2003), John Townsend, the son of another John, a Berkshire yeoman, started his business as a pewterer in 1748, which would have been soon after he obtained the freedom of the City. He had started his apprenticeship with Samuel Jeffery, pewterer, on 10 November 1740, which would give him his freedom after the usual 7-year period in late 1747. 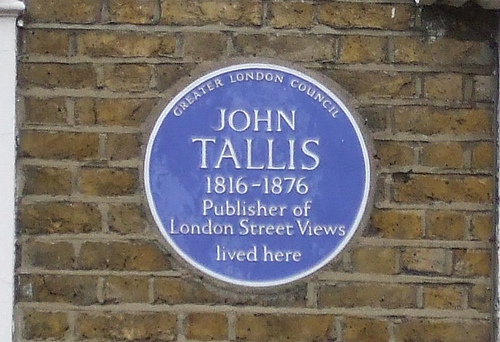 He started his professional life at 47 Prescott Street, Goodmans Field, but could later be found in Booth Street, Spitalfields. In 1752 he married Sarah Hogge and that same year, he took on as an apprentice, Thomas Giffin, son of Thomas, another pewterer. In 1770 the Land Tax records for the St. Gabriel Fenchurch precinct record Thomas Giffin for the first time at the property where Tallis was to find Henry Broughton, that is, on the corner of Cullum Street and Fenchurch Street. John D. Davis mentions a partnership Townsend contracted with one Reynolds between 1767 and 1771, but from 1771 he was in business with his former apprentice Giffin. From 1778, the company was known as John Townsend & Co., which included Giffin and Townsend’s son-in-law Thomas Compton. Compton had been Townsend’s apprentice since 1763 and had married Townsend’s daughter Mary in 1775. 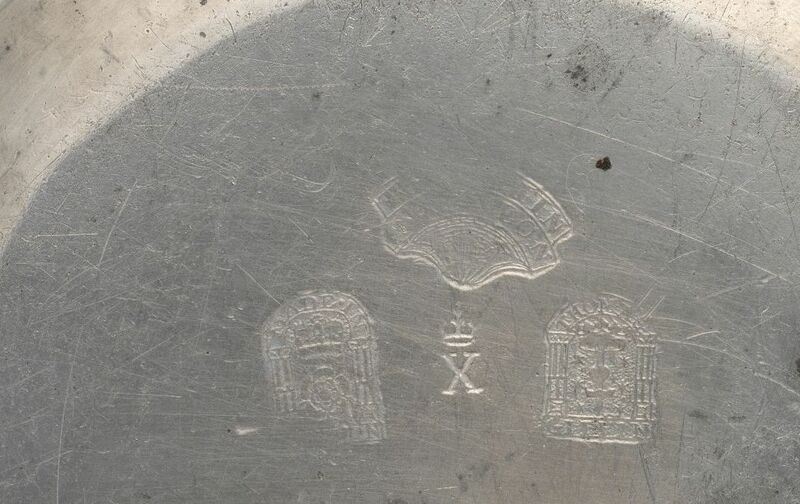 Townsend and Compton had their pewter and tin-foil factory in Booth Street, Spitalfields, and in 1790, they took on one John Gray from Brentford as their apprentice. Thanks to him, we know a lot about Townsend and Compton as in 1839 the Memoir of the Life and Character of John Gray, a Member of the Society of Friends was published by Theodore Compton. Later editions included short biographies of Gray’s masters Townsend and Compton. The Quaker Townsend travelled widely in England and in America on “religious services and missions”. Apparently, his brother had settled in Canada and from there Townsend went to New York and Pennsylvania, among other places. From time to time members of the family went to America on business and lots of their pewter, “immense quantities” according to Davis, ended up in America. But to return to 135 Fenchurch Street. Thomas Giffin took the corner property in 1770, but the tax records usually listed the property for Townsend & Giffin and from 1780 onwards for Townsend & Co. until 1803 when only Thomas Compton is listed. Thomas died in 1817 and the property is then listed for T. & G. (or T. & H.) Compton until 1831 when Henry Broughton takes over. Henry Compton later traded from 37 Fenchurch Street. We will leave the Townsend/Compton business for what it was and concentrate on Broughton. He called himself a hardware and button warehouseman in the 1831 Sun Fire Office entry where he is stated as having insured the property, “in which no manufactury takes place”, for £1300. 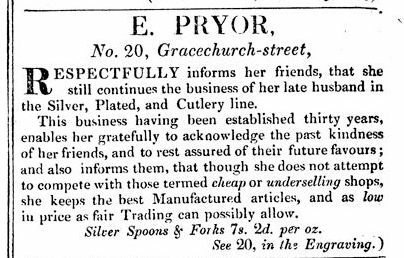 In 1834, he also insures his stock and utensils for £500. From 1836, he shared the property with Jonathan White junior who insured his household goods for £100, later increased to £150. By the time Tallis produced his booklet, Broughton shared the property with Gordon & Leith. Tallis does not give these gentlemen an occupation, but they were merchants, trading in the Caribbean, with just an office in Fenchurch Street. In the 1851 Post Office Directory they have been replaced by Charles Avery, colonial broker. More on these men in a later post. 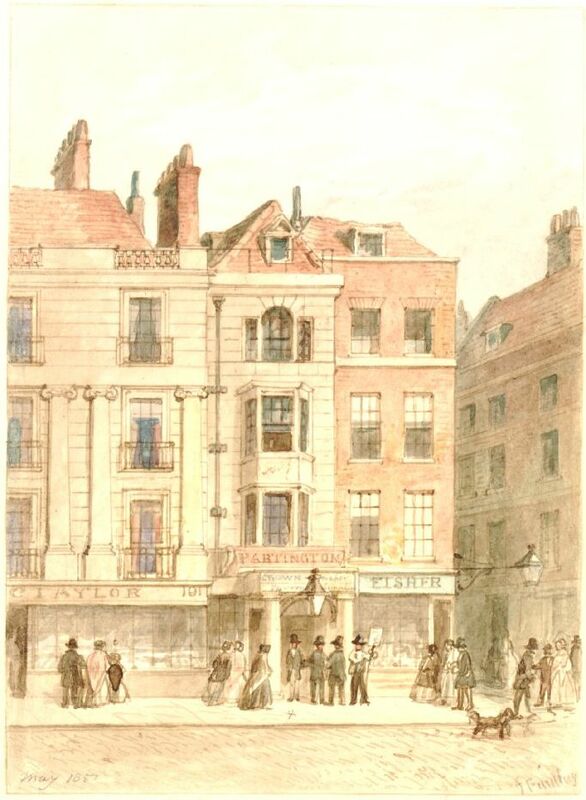 Henry Broughton did not trade just from Fenchurch Street, but also from Bouverie Street, Fleet Street, although by the time his will was proved in 1849, he was said to be “late of Bouverie Street and now of Fenchurch Street”, so the Bouverie Street property was given up at some point. 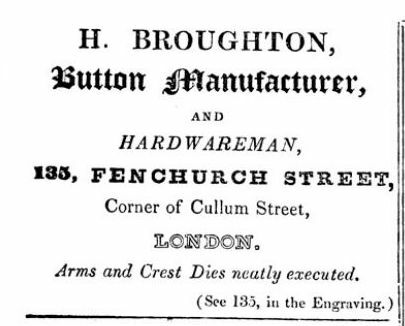 According to the list of military button manufacturers that Peter Nayler compiled, Henry Broughton had been in partnership with Thomas Nortzell at 21 Bouverie Street from 1820 until 1831(1), so up to the time of his move to Fenchurch Street. 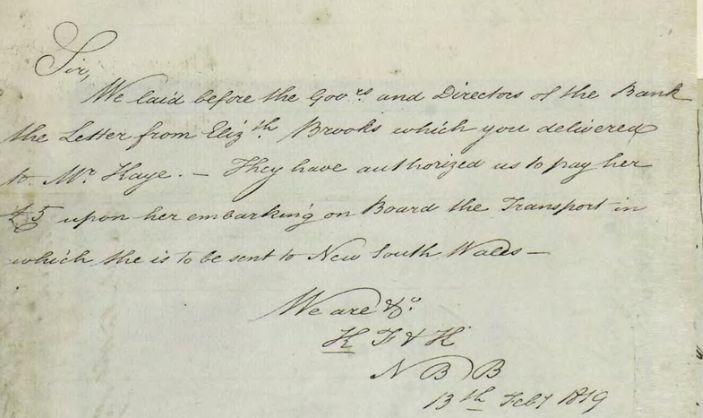 It is unclear whether he remained in Bouverie Street after the partnership with Nortzell was dissolved in 1831, possibly just with a warehouse, but it seems likely, because why would he otherwise still refer to that address in his will? 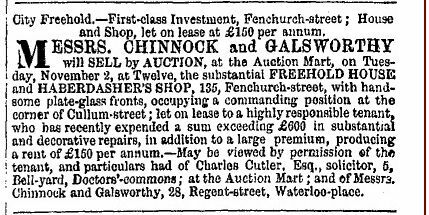 After Broughton’s death, the Fenchurch property was listed in the tax records under the name of Broughton & Son till 1854 when one Edmund Jones took over. Although the premises at number 135 were listed in the tax records for Broughton, or rather, for his son, until 1854, an advertisement in the newspapers of late 1852 suggests an earlier change of hands. 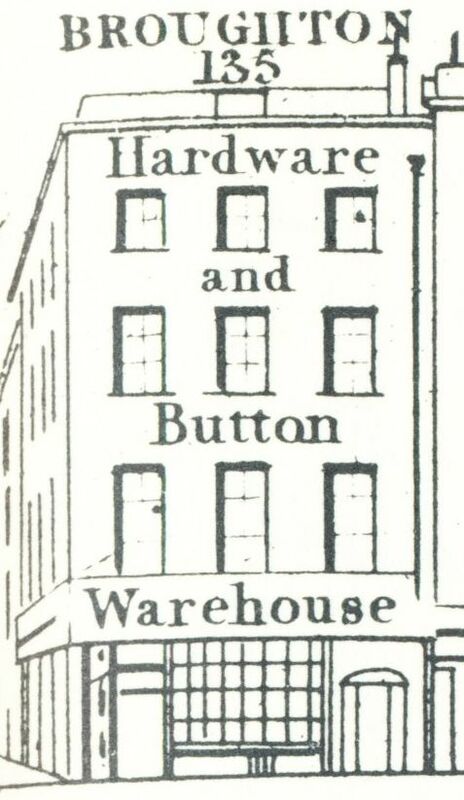 The property is advertised as a haberdasher’s shop, but Broughton always called himself a hardwareman or button maker, so it seems that Jones took over earlier than the tax records suggest. The 1856 Post Office Directory lists Jones as hosier and shirt maker, sharing the property with Thomas Thompson, solicitor. More on later occupants of 135 Fenchurch Street in the forthcoming post on Gordon & Leith, but for now, this is where this post stops. (1) Partnership dissolved 30 June 1831. Source: The London Gazette, 12 July 1831. John Joseph Mechi (1802-1880) was the son of Giacomo Mechi from Bologna, Italy, who set up business as a cutler in the 1820s at 130 Leadenhall Street. When business went well, he moved to larger premises at 4 Leadenhall Street where he proudly announced his invention of the ‘magic’ razor strop on the Street View elevation. This last address is mentioned as Mechi’s in the Electoral Register for 1834. 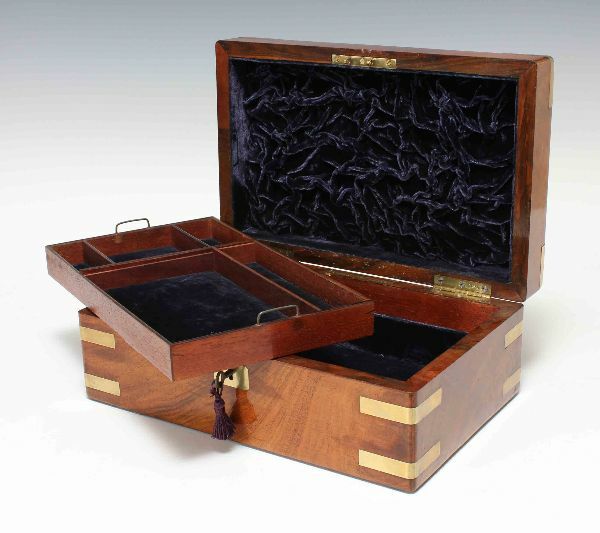 He did not just stick with the traditional cutler’s wares, but branched out into dressing cases, chess boards, small tables, portable desks, and lots of similar goods. Some of the boxes and cases he supplied still come up in auctions and antique sales. His frequent advertisements were always verbose, listing as many trade goods as he could possibly fit in the allotted space. A good example is the page-long advertisement in Hammond’s List of London and Provincial Newspapers of 1850. 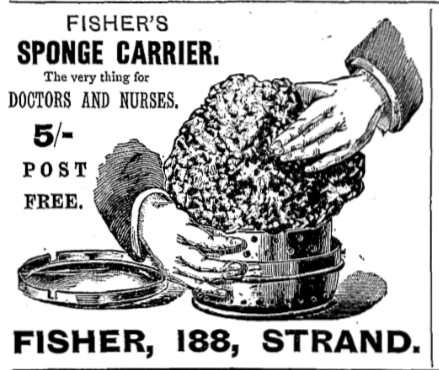 A slightly more subdued one is the advertisement he put in one of Dickens’s books by instalments, but even here he cannot refrain from listing the items available. 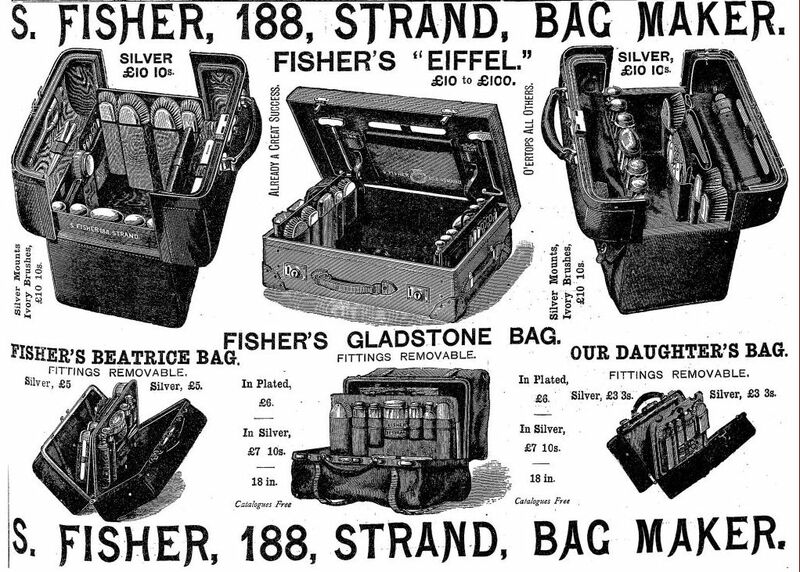 Sometimes his advertisements were concerned with just one item, but then he would describe them in great detail as in the case of an advert for dressing cases in Notes and Queries of 25 January, 1851 where he states that “In no article perhaps is caution more necessary than in the purchase of a Dressing Case, for in none are the meretricious arts of the unprincipled manufacturer more frequently displayed. MECHI, 4. LEADENHALL STREET, near Gracechurch Street, has long enjoyed the reputation of producing a Dressing Case in the most finished and faultless manner. Those who purchase of him will be sure of having thoroughly-seasoned and well-prepared wood or leather, with the fittings of first-rate quality. The prices range from 1l. to 100l. 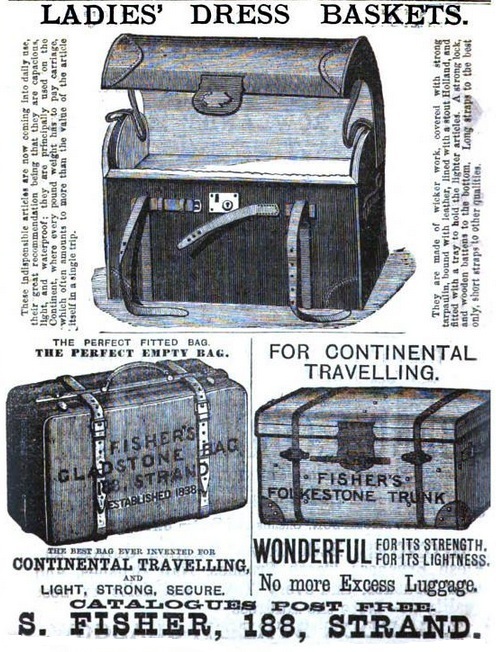 Thus the man of fortune and he of moderate means may alike be suited, while the traveller will find the Mechian Dressing Case especially adapted to his necessities”. In 1851, Mechi exhibited at the Great Exhibition and as he announces in the Notes and Queries of 24 May 1851, he could be found in the gallery at the north-east corner of the transept. Totally in character, he could not refrain from adding a P.S. : “In order to afford room for the great accession of Stock which Mechi has provided to meet the demand consequent upon the anticipated influx of visitors to London during this season, he has fitted up an additional Show Room of great splendour, and made other improvements, to which he earnestly invites public attention.” He also acted as juror of the 1851 Exhibition and of the Paris Exhibition of 1855. From time to time, he also brought out a catalogue with pages and pages of items he could supply. You can see one full-text here and another one here. In 1859 he promoted his manager Charles Bazin to partner and expanded the business to 112 Regent Street. That is also the address were Bazin and his family were registered as living at the time of the 1861 census. Unfortunately, Charles Bazin died in 1865 (not in 1869 as is sometimes alleged) and Mechi had to take sole responsibility again. 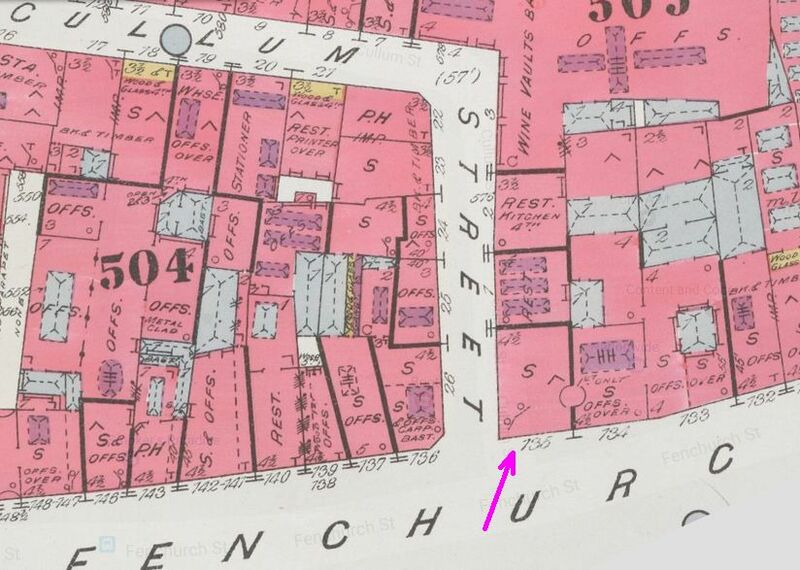 (1) We do indeed see Mechi and his second wife Charlotte residing at the Regent Street address in the 1871 census. Their children Isabella, Joseph and Florence are then living at Triptree-Hall, Tollesbury, Essex, a farm that Mechi had purchased in the early 1840s and on which he experimented with new farming methods. (2) The Gardeners’ Chronicle makes frequent mention of talks, demonstrations and books, all by Mechi. Mr. Mechi’s Farm Balance-Sheets; also, His Lectures and Papers on farming since the publication of his former book was published in 1867 (see here). He also gave a lecture on how to ensure success in trade which was published in 1850 (see here). He stressed that customers had to be treated well, or in his words “with the utmost latitude of liberality” (p. 8). Even if they are wrong, they are right and you might as well take a small loss if that means the customer is satisfied with the service and will not only come back to you, but will also tell his friends about it. At the end of his life, things did not go as well as before. The failure of the Unity Joint Stock Bank and an unfortunate commitment with the Unity Fire and General Life Insurance Company, combined with the growing fashion for beards which markedly diminished the magic razor strop appeal and the bad farming years in the late 1870s all contributed to a gradual decline of his fortunes. He died on Boxing Day 1880, just 12 days after the liquidation of his affairs. (4) In an obituary he was referred to as the “well-known agriculturist” and it was said that “although Mr. Mechi had attained a good old age, there appears to be no doubt that his death was immediately caused by the misfortunes that overtook him at the end of his useful career”. (5) Although he died at Tiptree, his last address was given as 439 Strand and that is also the address where Isabella and Florence are found at the time of the 1881 census. Their mother Charlotte is then still residing at the farm with Joseph and Alice. (1) England & Wales, National Probate Calendar (Index of Wills and Administrations), 1865. Charles died on 9 March 1865. (2) John Joseph and Charlotte had five children: Louisa (±1850), Isabella (±1853), Joseph (±1854), Alice (±1856) and Florence (±1859). Mechi had married Charlotte Ward on 17 Feb. 1846 (St. Mary’s Stoke Newington) after his first wife Fanny Frost had died. He had married Fanny on 23 March 1823 (St. George the Martyr, London). (3) RABI. Their website provided some of the information I have used for this post, esp. the section of their 150th anniversary (see here). (4) England & Wales, National Probate Calendar (Index of Wills and Administrations), 1881. The probate on 7 January 1881 was granted to his daughter Isabella as one of the executors. Although his affairs had gone into liquidation, his personal estate was still valued as “under £2,000”. (5) Journal of the Society of Arts, vol. 29 (1880-1881), p. 103.